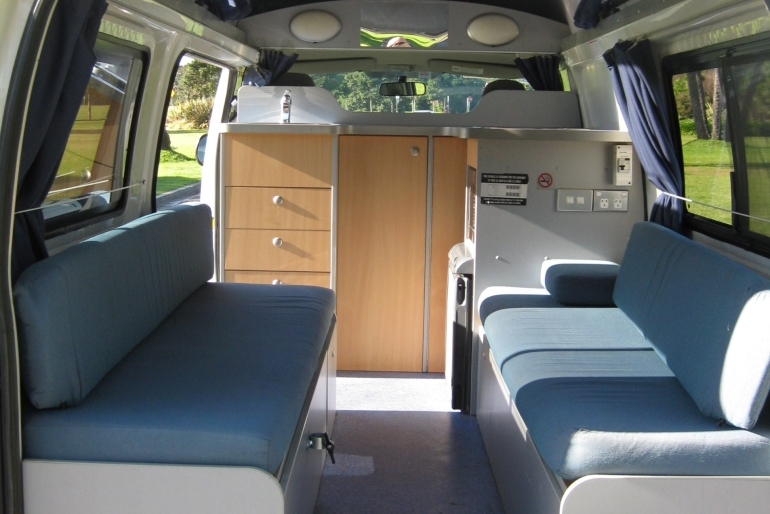 These campervans are suitable for up to 3 passengers and come with a double bed at the back and a single bed in the hi-top. 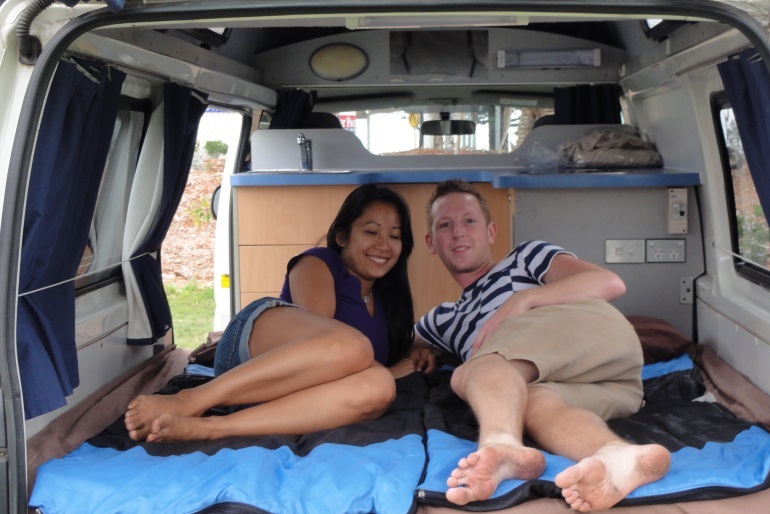 They are fully equipped for travelling and living comfortably in the outback, the city, or just down at the beach. With plenty of storage for your personal items, all you need to throw in is your sense of adventure. Please be aware that if you are three tall guys the supplier recommends you rent one of their HiTop-Campervans since they allow for more space in the driving area.